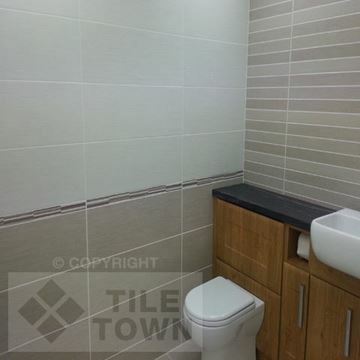 This is the place for all your ceramic bathroom tiling needs. 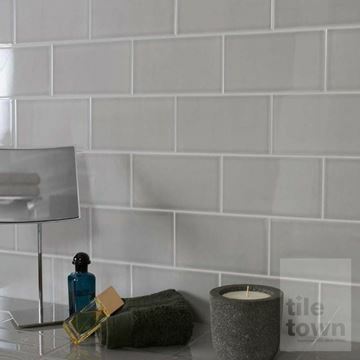 Ceramic tiles are an obvious and effective choice for tiling your bathroom walls and floors; they offer a huge variety in looks and they’re designed to withstand the wet environment they’re going to be in. 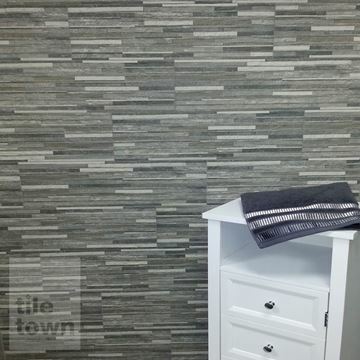 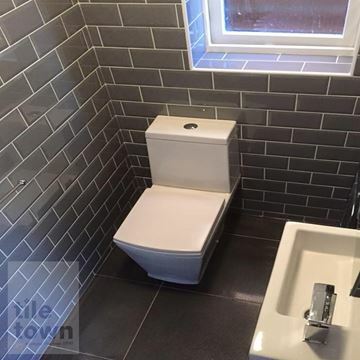 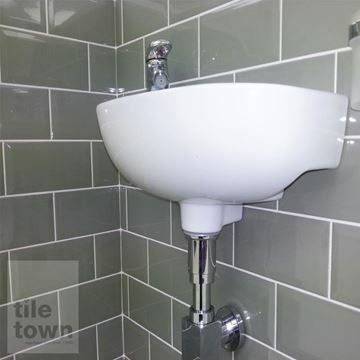 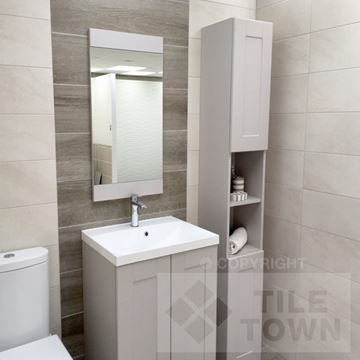 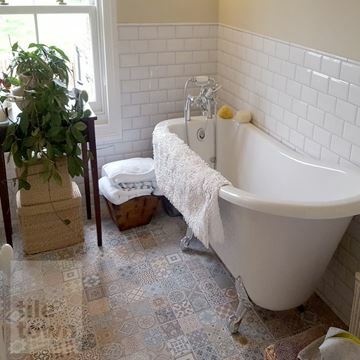 Here at Tile Town, we’ve got all you’ll ever need when it comes to bathroom ceramic tiling. 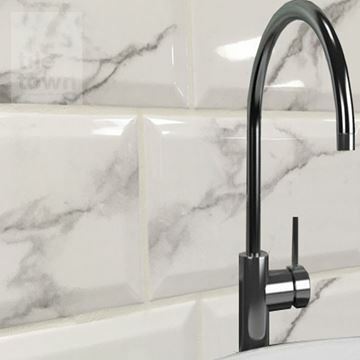 Our staff are experts on the stuff, and if you come down to our showroom, they’ll be happy to guide you through the catalogue. 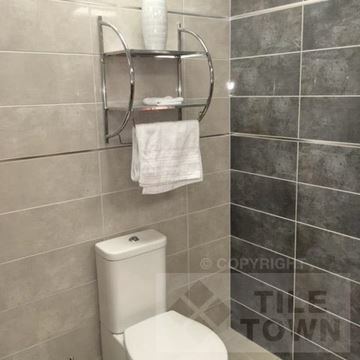 Of course, you don’t have to come to the showroom - simply browse our selection on our handy website. 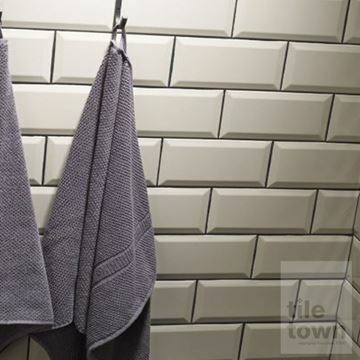 Ceramic is made by combining the best ratio of clay, powders and water to create a material that’s impervious to water and strong enough to support the weight of a person. 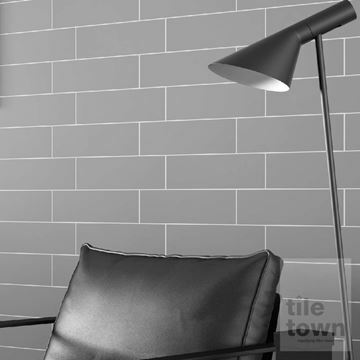 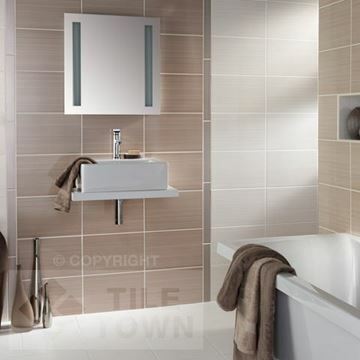 Our ceramic wall tile range offers value, quality and versatility. 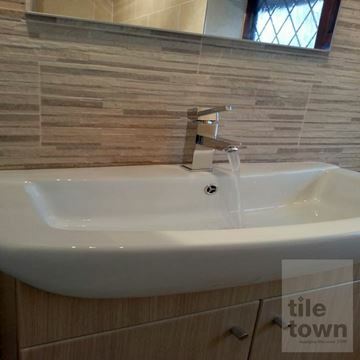 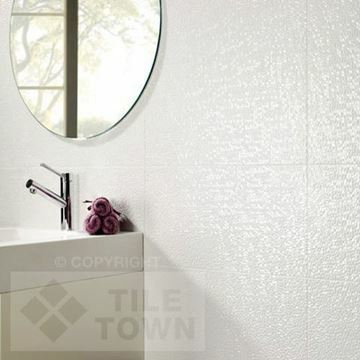 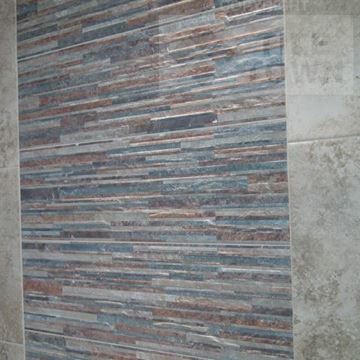 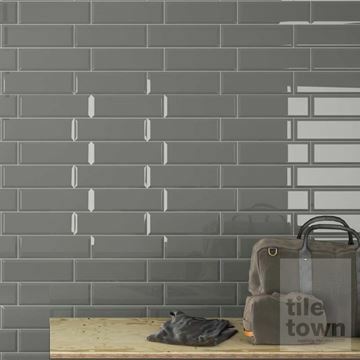 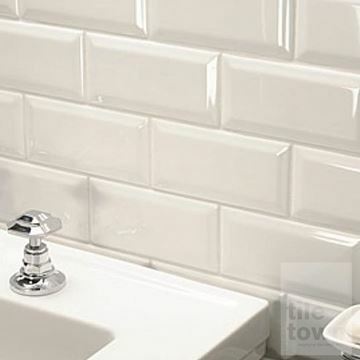 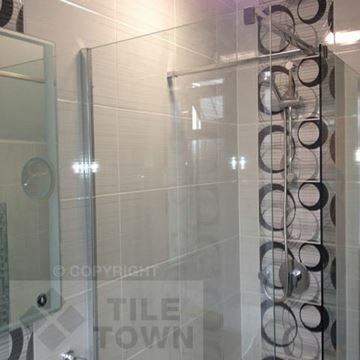 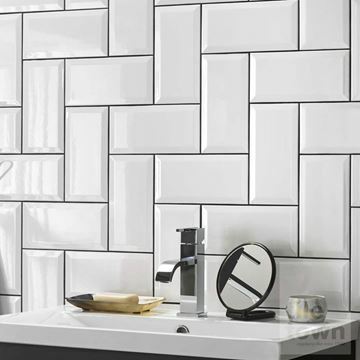 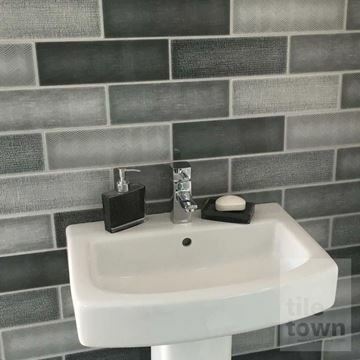 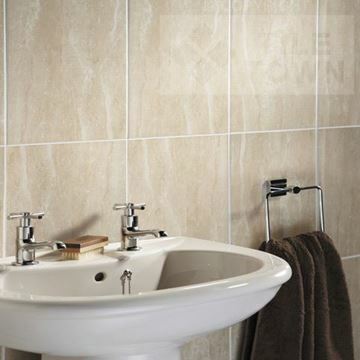 Ceramic wall tiles are the clear choice when tiling walls to create a superb finish. 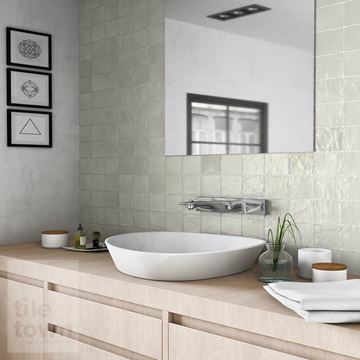 Whether you are looking for a classical look, something relaxing or a more individual design, we have a wide range of ceramic tiles for bathrooms to offer. 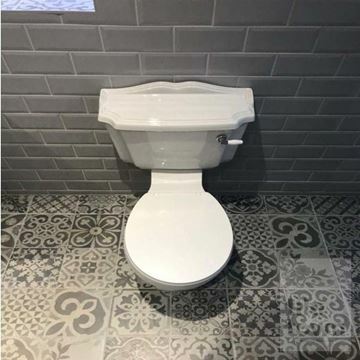 There really is something for everyone. 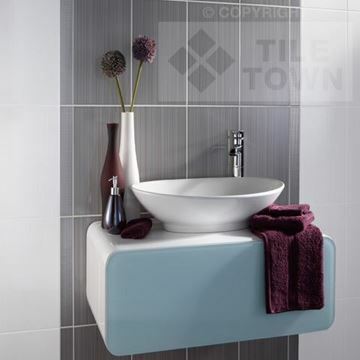 We have ceramic tiles for walls and floors in endless colours, styles and finishes. 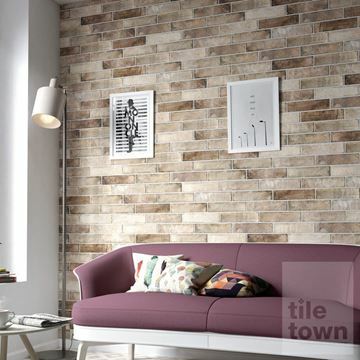 Colours include muted ones like cream, grey and bone, as well as the bolder and eye-catching stuff like teal and multicolour. 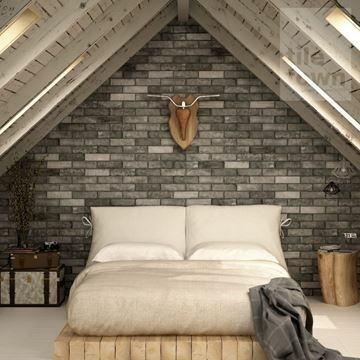 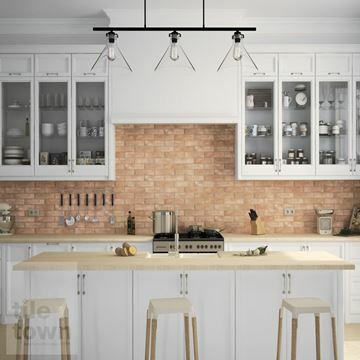 On top of all of the colours, due to the versatility of ceramic tiling, we’ve also got a great selection of brick effect tiles that give you the rustic and cosy look of brick, without the vulnerability to water damage. 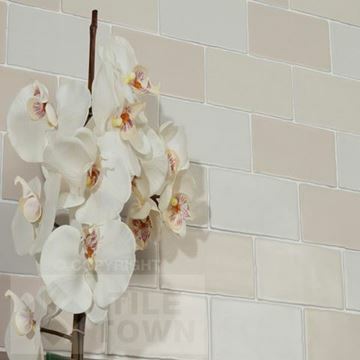 You can either go for glazed or unglazed finishes - they both offer something excellent and different. 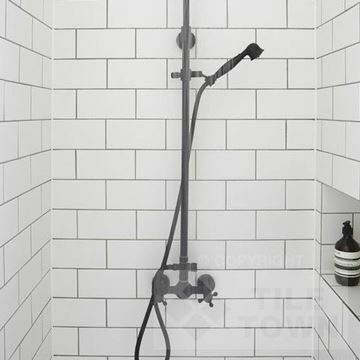 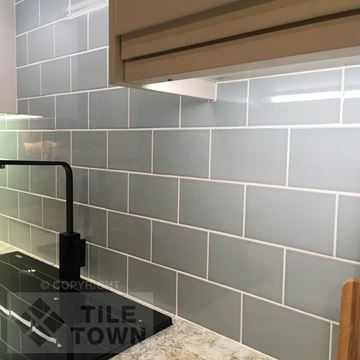 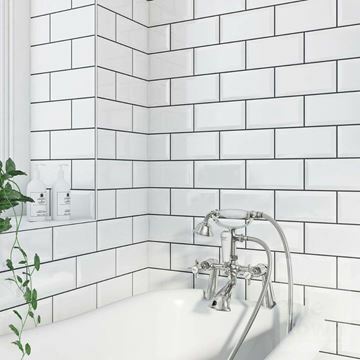 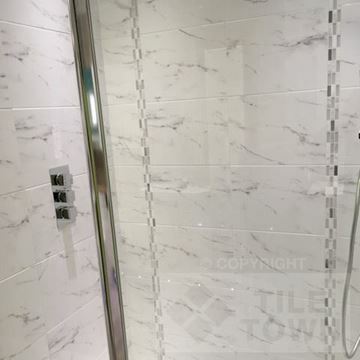 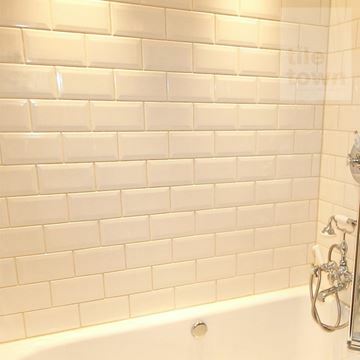 Glazed ceramic tiles do not require any sealing or polishing and are the ideal choice for the bathroom wall because they are easy to clean and repel moisture whilst unglazed ceramic tiles are often slip resistant and can withstand heavy traffic. 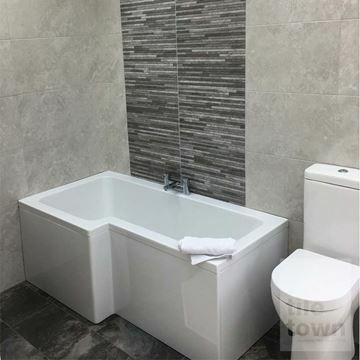 We believe in offering our customers the maximum amount of choice possible, to make sure that they don’t miss out on the perfect ceramic tiling for their bathroom. 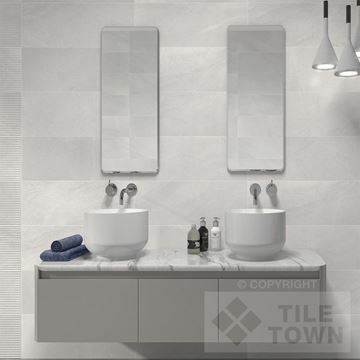 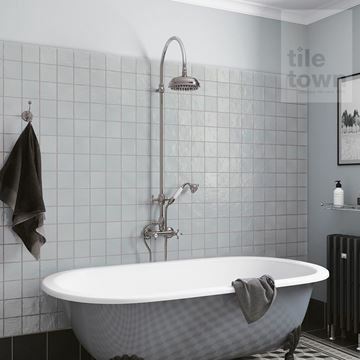 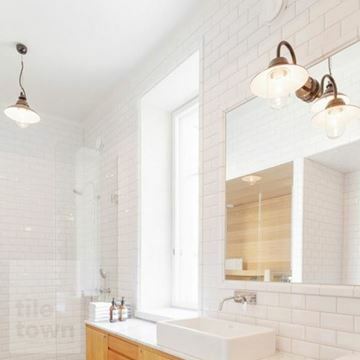 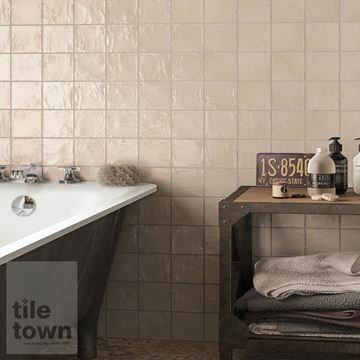 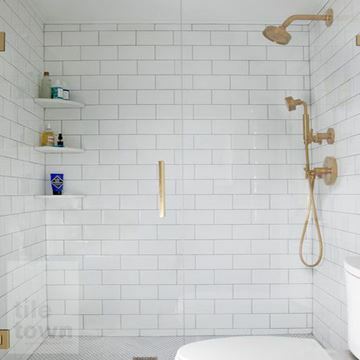 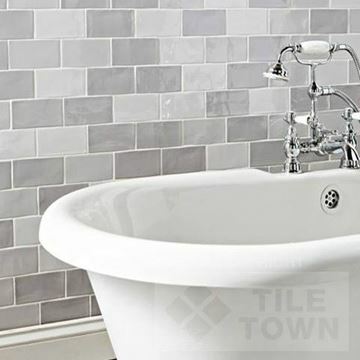 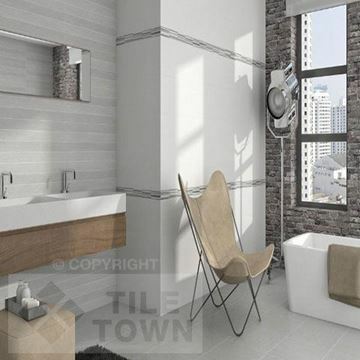 Tile Town really is your best bet when it comes to ceramic bathroom tiles. 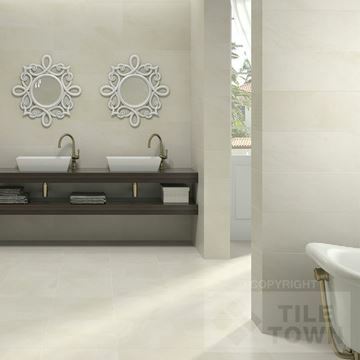 Our team is made up of knowledgeable, experienced and passionate people who can’t wait to show you our brilliant range. 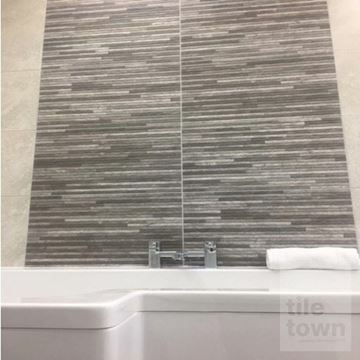 We want to help you with your bathroom tiling project, so have a chat with one of our team members and we’ll be more than happy to help you plan things to make sure that you end up with your dream bathroom. 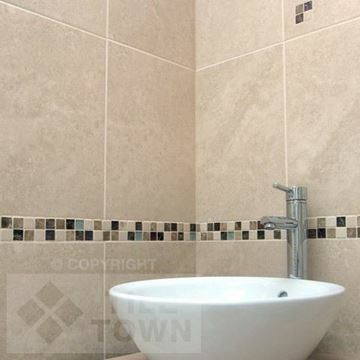 Please have a browse of our collection - we’re sure you’ll be able to find your dream ceramic bathroom tiling. 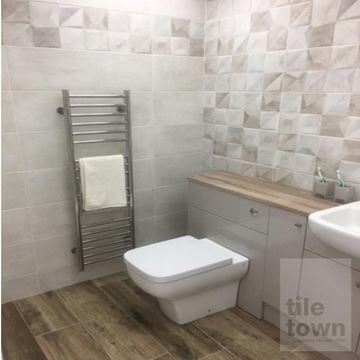 We know that we’ve got a very comprehensive selection, so it might be a bit tricky to choose between all of the different tiles. 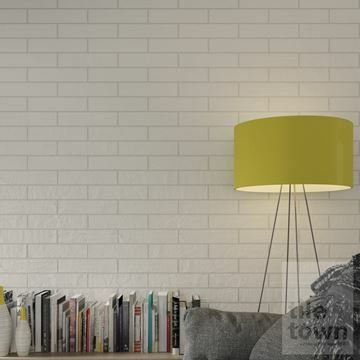 If you’ve got any questions, then please don’t get hesitate to get in touch with us, and we’ll be happy to help.